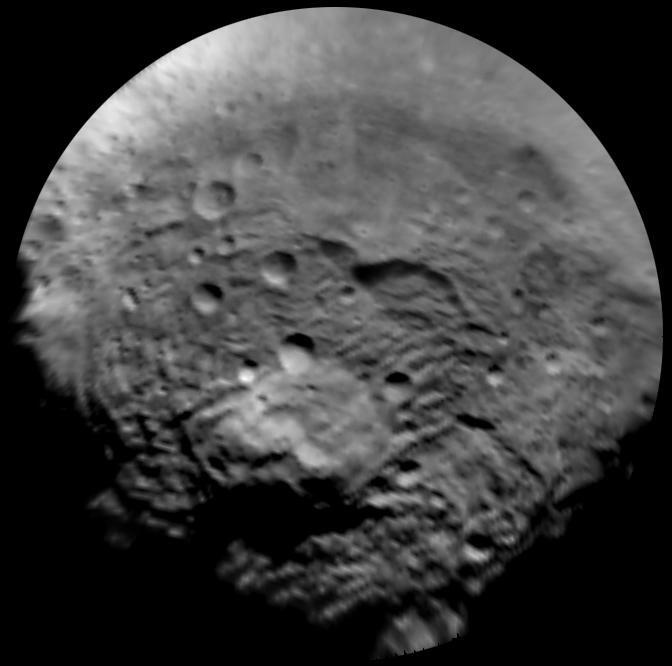 This image, taken by the framing camera instrument aboard NASA's Dawn spacecraft, shows the south polar region of this object, which has a diameter of 330 miles (530 kilometers). 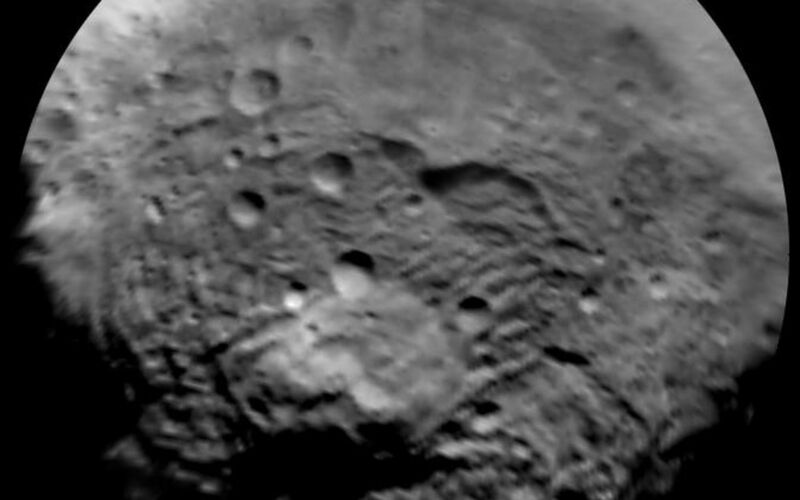 The image was taken through the clear filter on July 9, 2011, as part of a rotation characterization sequence, and it has a scale of about 2.2 miles (3.5 kilometers) per pixel. 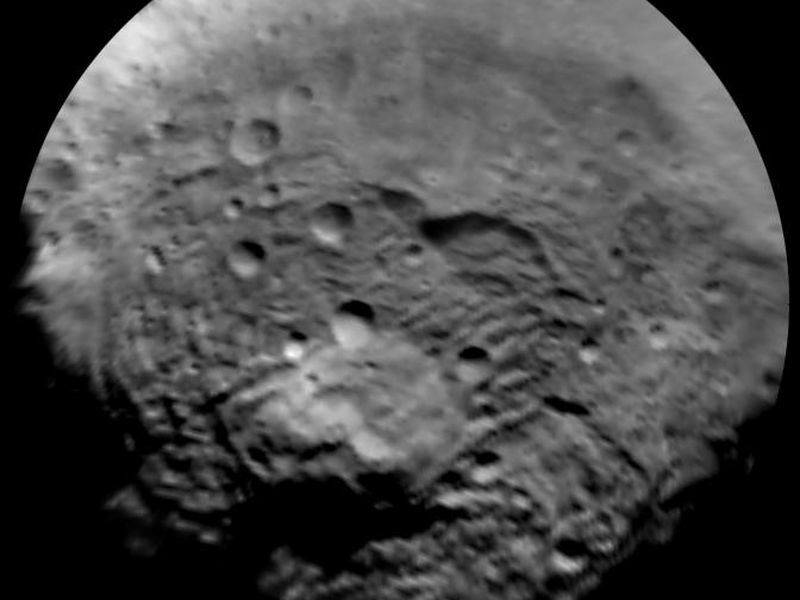 To enhance details, the resolution was enlarged to .6 miles (1 kilometer) per pixel. 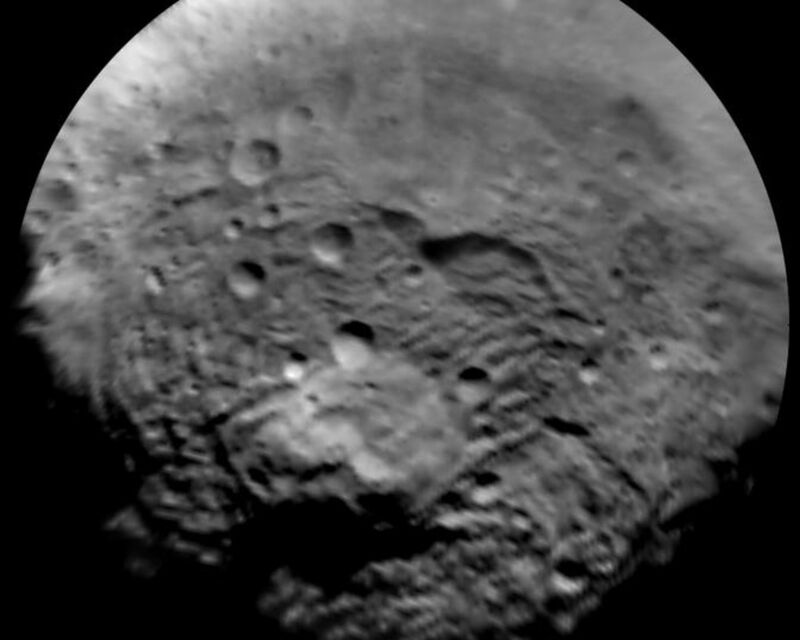 This region is characterized by rough topography, a large mountain, impact craters, grooves and steep scarps. The original image was map-projected, centered at 55 degrees southern latitude and 210 degrees eastern longitude.